Showers early, then cloudy overnight. Low 49F. Winds light and variable. Chance of rain 60%..
Showers early, then cloudy overnight. Low 49F. Winds light and variable. Chance of rain 60%. 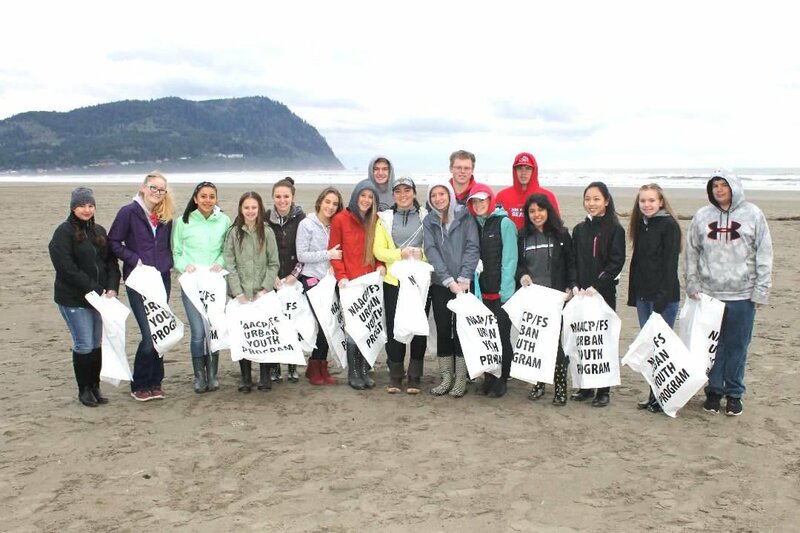 Members of Seaside High School’s Future Business Leaders of America chapter participate in a beach cleanup for community service during fall 2018. The chapter was established at the school about three years ago under the guidance of business teacher Mike Verhulst. Future Business Leaders of America students who placed in the top 10 for individual categories in a regional competition, conducted through computer tests, will be able to double compete at state. The categories of this nature include journalism, business communication, accounting, economics, health care administration, and more. A group of Seaside High School's Future Business Leaders of America chapter qualified for the National Leadership Conference during the 2017-18 school year. The public service announcement team took seventh place. Thanks to Seaside High School’s Future Business Leaders of America chapter, students can learn important professional skills and also practice putting them to use in competitions that simulate real-world scenarios. FBLA was established at the high school three years ago with the arrival of business teacher Mike Verhulst. In the current school year, the club/class hybrid includes nearly 30 members who are creating projects that demonstrate a range of skills, from broadcast journalism and graphic design to community service and 3-D animation, to name a few. “FBLA kind of changed my teaching style,” Verhulst said. Without FBLA, students would put together business-related class projects, such as websites, business plans and public service announcements, turn them in for a grade, and that would be the end of the story. Now, the students do the same type of work in Verhulst’s Business Leadership class, but they also compete with those projects against other students in the state — and even country — and gain a “real-world connection,” he said, adding they experience what it would take to land a job, acquire a new client, or win a bid in the professional world. FBLA provides more than 60 categories for students to compete in, either individually or as small teams. Verhulst encourages his students to choose the more labor-intensive projects, where they are required to create an actual product and present in front of judges. Because Oregon only has about 2,000 FBLA members statewide, students are automatically qualified for state with a team project by virtue of doing the substantial labor. Other computer-based individual categories, such as personal finance, economics, and business communication, require the students to take an online test to qualify to state. While any Seaside student can participate in the FBLA program, the class provides them with ample dedicated time to work on their projects, boosting their competitive advantage, Verhulst said. The school has achieved notable success during the past two school years. 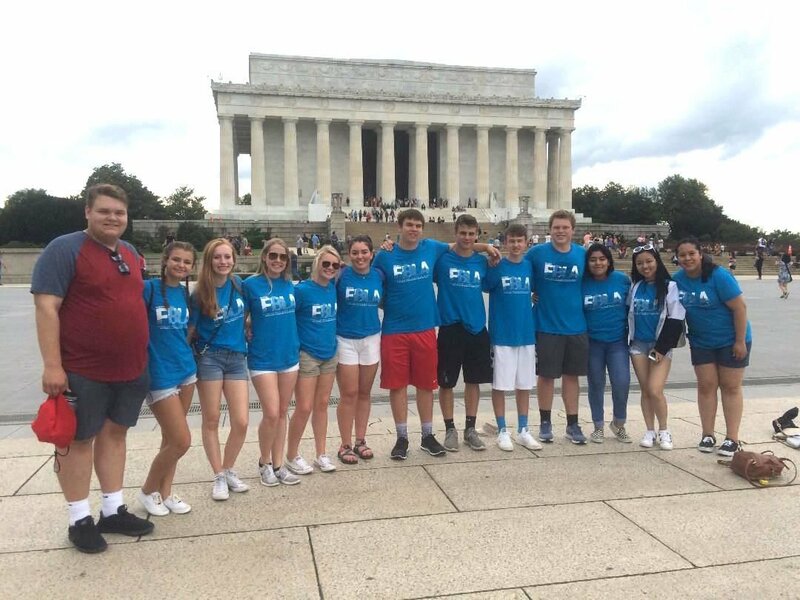 In 2017, a Seaside team won eighth at nationals in the community service category, and the public service announcement team took seventh place nationally last year. About a dozen Seaside teams are now preparing to travel to Portland for the 2019 State Business Leadership Conference, held in April. The students who excel at the state competition advance to the national competition during the summer in San Antonio. Juniors Laura Oros and Lisette Santiago are competing in the 3-D animation category. They created an informational video about natural disasters, how to get volunteer aid to affected areas, what obstacles are likely to arise, and how to mitigate them. Their video, made with 3-D animation, draws empirical evidence from three wide-scale disasters that occurred in 2018: the India dust storms, California wildfires, and Indonesia tsunami. Oros, who will be competing for the third time, feels 3-D animation is the most challenging category she has encountered so far. Beyond learning how to use animating software, she and Santiago also feel they will benefit from the experience of presenting their project in front of judges, who can ask questions afterward. Senior Audrey Kunde, who is on a graphic design team with fellow seniors Chloe Bartel and Ella Eronen, agrees the presentation experience is valuable. “I feel like this is preparing us for future interviews and things like that,” she said. Their group is assuming the role of a marketing team that is developing a brand for a fictional school. They chose a school name, Goodding High School; designed a logo with a color scheme of forest green, white and black; selected the Bears as the mascot; and developed merchandising ideas to promote the school. Sophomore Westin Carter and Junior Beau Johnson, who are competing in broadcast journalism, said their favorite part of the class is the freedom and opportunity to develop their own project with little oversight. From the start, they said, Verhulst emphasized he was their adviser, not their teacher. It has been their responsibility to develop a broadcast clip with different segments, including a feature on preventing cyberbullying, a weather report, a sports analysis, and senior news. They also developed a script to accompany the broadcast when they present live at the competition. While students normally get ample help or guidance from teachers, “this is all us,” Carter said.